If you search for ‘world’s most awesome offices’, we may not feature(that result is biased in the favour of Google!). That search result reflects the perspective of certain individuals/publishers. Seen under the light of the morning sun that brightens up the mood early morning and the track lights in the evening, ours might not fall far behind. And to correct those search page listings on interesting office spaces, this is our honest attempt to making a slight dent in the universe of google search results. We actually do not compete on fancy lounge spaces, conference rooms etc. Hell we don’t even have those fancy biometric access. Ours becomes a competitive space with the people put together. In my opinion, the garages where HP or Apple began were more iconic than their current offices, so was ours. The office is workshop inspired & a Cyborg made attendance system welcomes you. 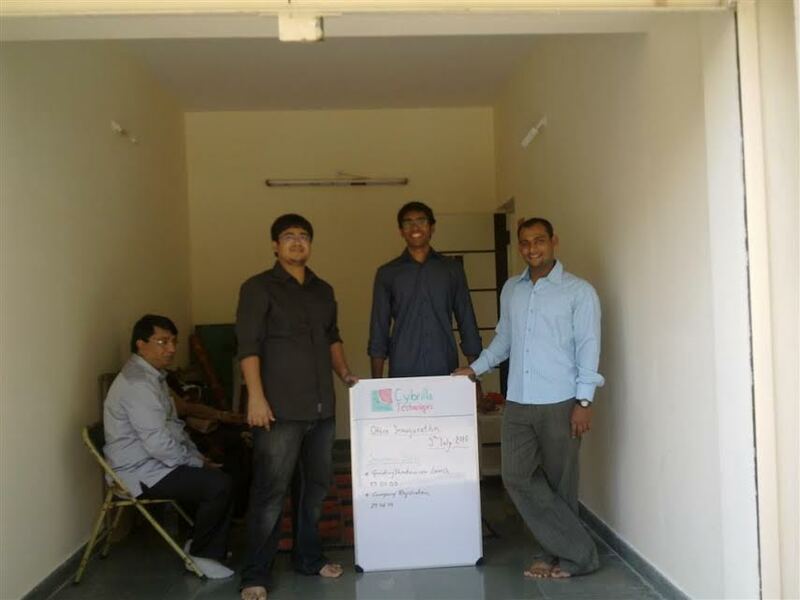 But it encapsulates all features of a cutting edge system – scans RFID, uses Raspberry Pi (the credit card size computer), scanner, speaker for text to speech conversion and matrix keypad size 3X4 for delivering output in graph & charts. We gave a detailed thought to every aspect of design and consulted with one of the best interior designers to create a work-space that has our brand values at its heart. We now have an open space office that provides us the platform to take the company forward. With growing footprint in the international markets, we needed a space equipped with all the amenities for communication with our overseas clients. Our new office comes equipped with a conference room. 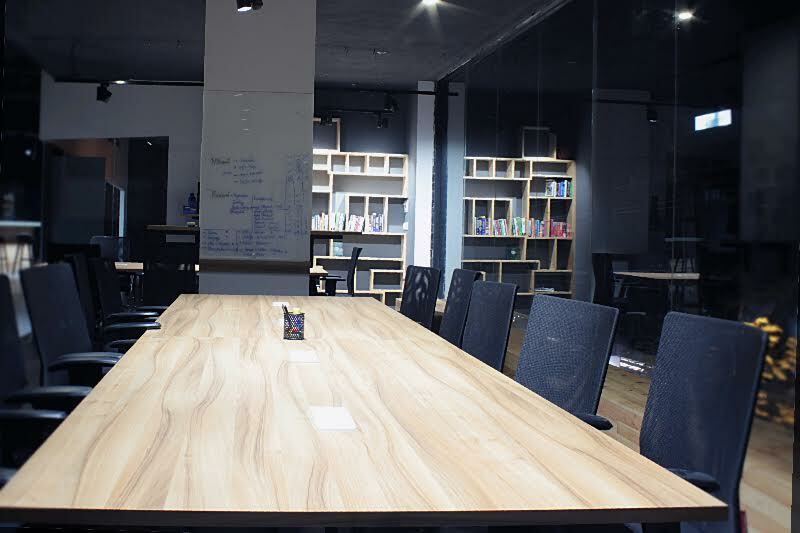 As a company we believe in frequent iterations and our discussion room is designed in a manner that facilitates short discussions. The high table is purposefully high, so that we do not sit and keep the meetings short and when we have to, there are high chairs that are not meant for sitting for long. That’s right, we create more – discuss less. Similarly, the large desks with capacity to seat entire teams has been designed to achieve greater collaboration. But then, for a short while everyday, you need space, for that we have the solitary room. 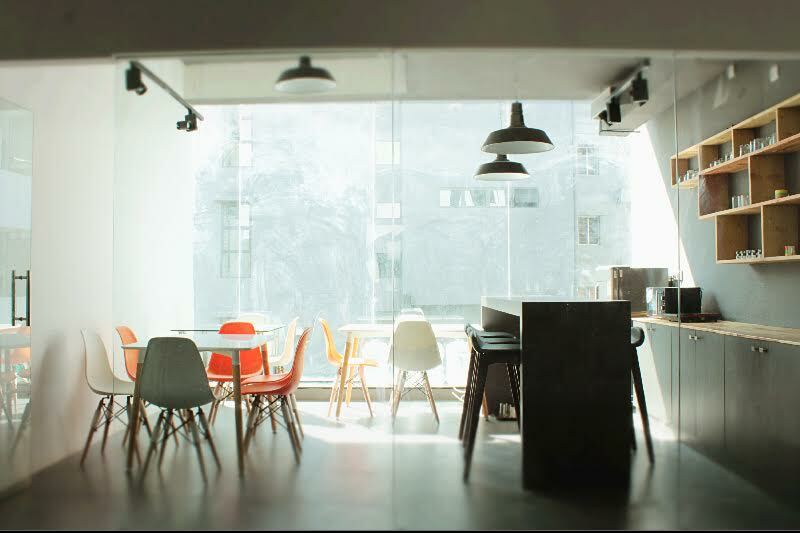 For relaxing after work we have the kitchen area with pub like seating so that you do not have to leave office to unwind. Stay as long as you like, stay because you like it. 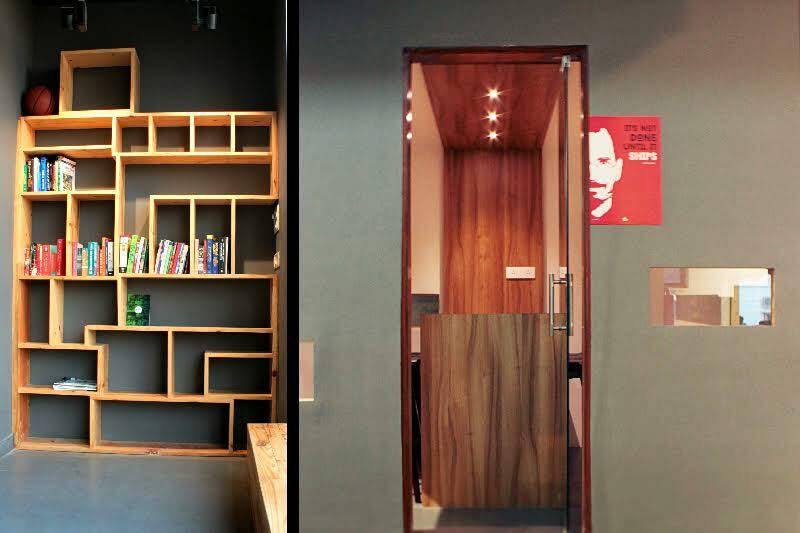 To keep our team members well read, we have designed a library. To help our mobile first workforce, we developed the Liborg App. The app is built with the functionality to issue books, search books by image, barcode scanning, image issue and the ability to preview any book using search. Interestingly, the most iconic office space should be judged on whether it put a dent in its’ industry & not by being ‘Garage Inspired’. The most iconic as judged are designed in manner that if someone has to stay back for the night, they do not miss home. That validation is subject to circumstances, ours is a welcome space where Cyborgs routinely stay back for Star War Movie Marathons & Counter Strike Nights. We have outgrown 5 offices in as many years and every time we moved because of organic reasons and not because we could afford it. 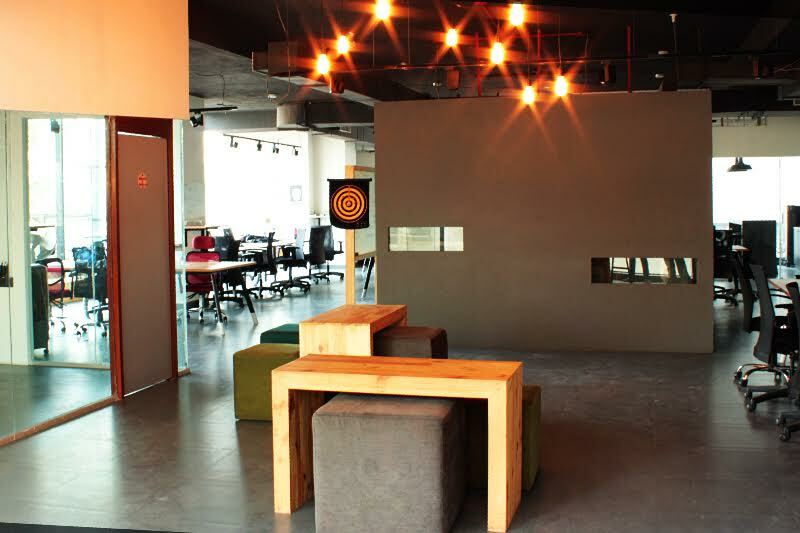 The new office is more spacious, in sync with our expertise of scaling up, applications and workforce. Its’ a 3300 sq. foot space with a mix of open space and rooms, crafted to suit the needs of developers. The kitchen is right there with ample space to stock. This ensures the builders of robust applications stay fueled. We have a mini auditorium where people can speak to be heard, especially where Mangalwari Gyan and Meetups which are a regular feature. There are no separate rooms/cabin so that even the CEO knows he’s being watched! The large desks double up as dining tables for the frequent parties. Designed to optimize on daylight. 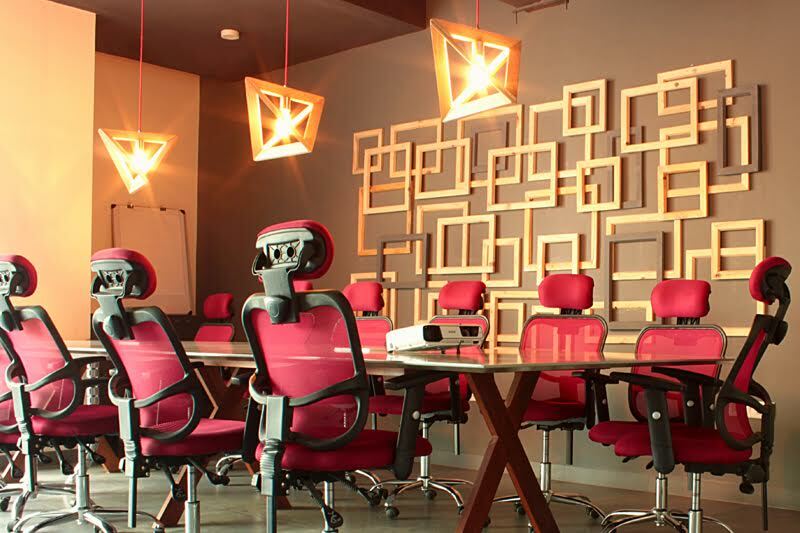 We have tried to craft a fun and collaborative work space so that our people – Cyborgs feel addicted to come & stay back. Happy developers equal successful products, which in turn equals happy clients. 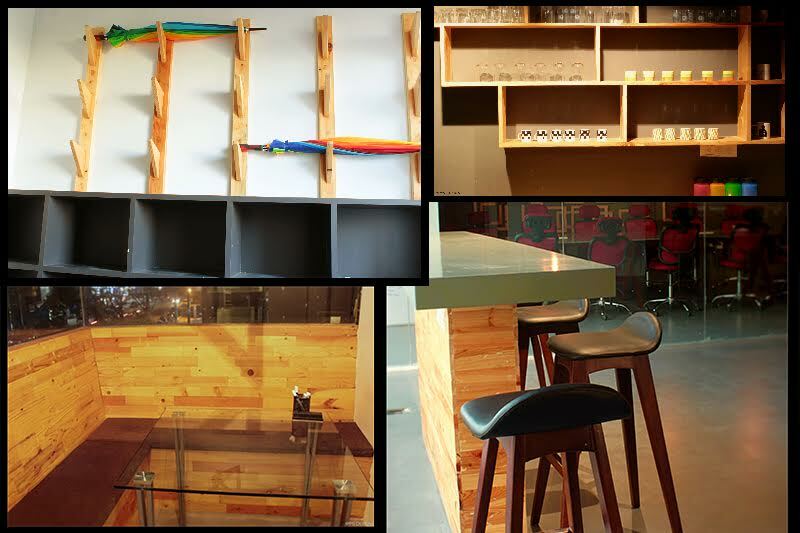 We’re observing a rapid growth here, which means we’ll be able to deliver inspiring products from our inspired office. We’re on a mission to change the world using software as a vehicle and are excited to see what Summer has in store for us. 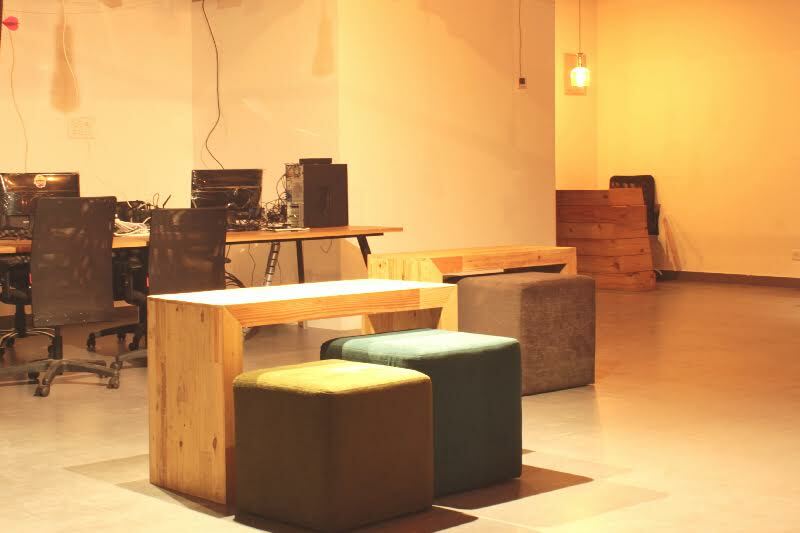 With all this space we’ll also be able to host events at our office, so we’ll be excited to invite people in and show them what Cybrilla is all about. If you’re looking to make a career move this Summer, we are hot, why not join us in our brand new office? We’ll be hiring in many more positions in the months to come, so keep checking our latest job openings here. 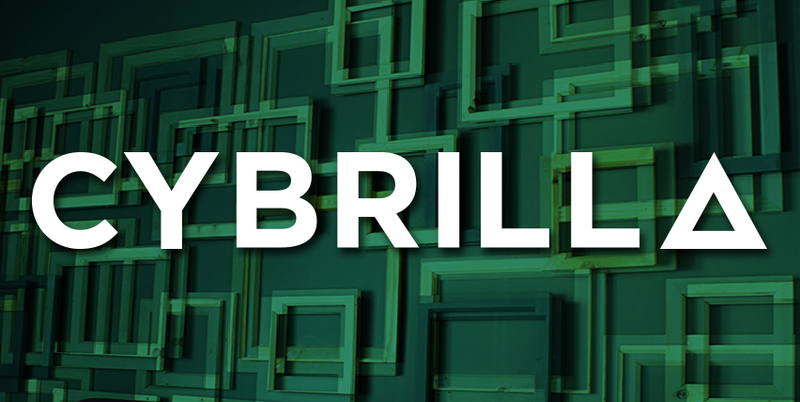 Don’t forget you can follow us on Twitter, Facebook, LinkedIn, Google + & YouTube for all the latest news from Cybrilla & Software Industry.